Believe it or not, Edinburgh, Scotland has another beautifully preserved medieval castle. Yes, Edinburgh Castle is spectacular, sitting high up on the volcanic rock with a bird’s eye view of the whole city and the Firth of Forth. When I first visited Edinburgh Castle, I thought it was the coolest castle I’d ever seen. And I still think it is. But Craigmillar is a fine example of a medieval castle in and of itself and I really enjoyed my visit there. The castle has many connections with royalty and it has an especially interesting association with Mary Queen of Scots. The site of Craigmillar Castle is in what is now called Craigmillar Castle Park which is adjacent to the Royal Palace of Holyroodhouse. These lands were first granted to the monks of Dunfermline Abbey by King David I, the son of Malcolm Canmore and his Queen, Saint Margaret in the twelfth century. The Preston family, who were lairds of the castle for over three hundred years, were first granted land in the area by King David II in 1342 and occupied two thirds of the estate. The Prestons held office as sheriffs or provosts of Edinburgh for many years. King Robert II gave the rest of the lands to Sir Simon Preston, Sheriff of Midlothian in 1374. It was either Sir Simon’s son, another Simon, or his grandson Sir George Preston who began construction on the tower house which is the nucleus of the castle and among the first of this type of castle to be built in Scotland. The tower was noted in a charter dated in 1425 and witnessed by Sir John Preston. It is nearly fifty six feet high and the walls are almost ten feet thick, allowing the castle to withstand a siege. Inside the tower on the second floor are several rooms including a kitchen and the impressive Great Hall with a fireplace dating from about 1500. This Hall probably had a timber ceiling which was painted. The kitchen was later moved and enlarged in the renovations made in the east range in the seventeenth century and the old kitchen was turned into a bedroom. The floor above the Great Hall is accessed by a spiral staircase and contained a windowless room directly over the Hall. Over the kitchen was the Lord’s bedchamber, the only private room in the house. Stairs led to another level giving access to parapet walks around the stone-flagged roof. 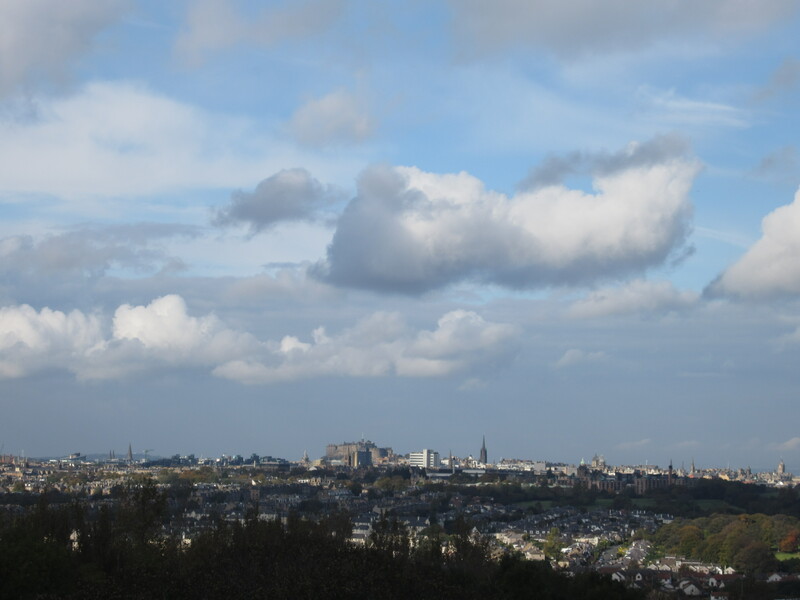 There is a magnificent view of Edinburgh from here. Sir William Preston (1417-1453), laird of Gilmerton and Craigmillar starting in 1442 had traveled to France and when he returned, he began enlarging the castle with the construction of a protective curtain wall surrounding three sides of the tower. This wall was based on architecture he may have seen on the continent. He also brought with him the arm bone of St. Giles in a reliquary which he presented to the Edinburgh High Kirk. In 1480, John Stewart, Earl of Mar and brother of King James III was held prisoner in the castle after being accused of practicing witchcraft against the king. Sir Simon Preston (d. 1519), Member of Parliament for Edinburgh county, most likely was the builder of the walls surrounding the outer courtyard of the castle, including the gate to the west garden adorned with the Preston coat of arms and the date of 1510. These walls are smaller and not as formidable as the inner walls and have four towers at each corner. 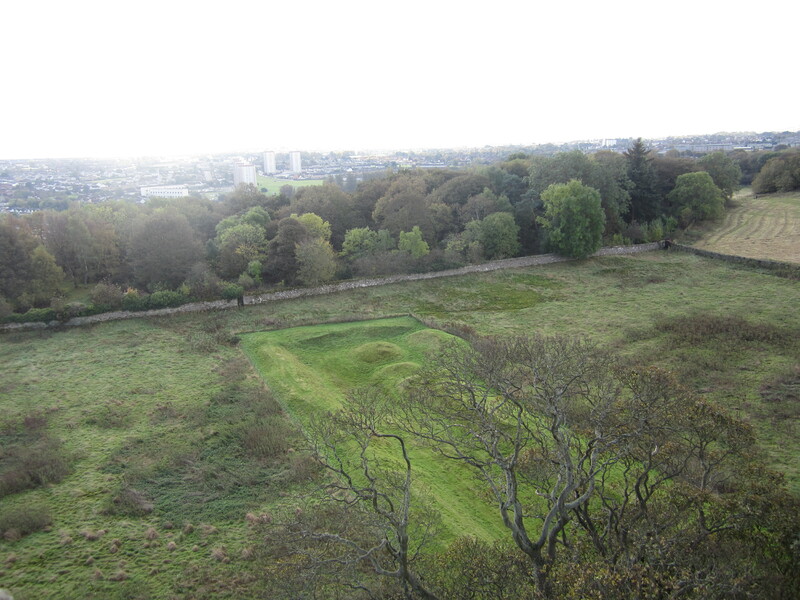 In 1511, King James IV elevated Sir Simon’s lands at Craigmillar into a barony. In 1517, there was an outbreak of the plague in Edinburgh and the five year old King James V was taken to Craigmillar for safety. The king’s chamber was fitted with new locks and iron gates and a stable was built for his mule. 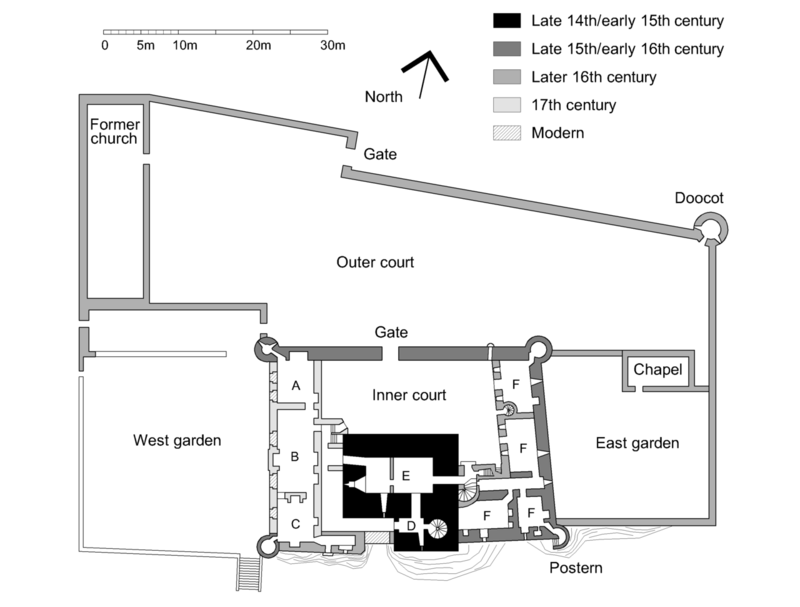 The first mention of a family chapel dedicated to St. Thomas Becket in the outer court appears in 1523. There are gardens to the east and the west of the courtyard. A terrace on the west range has large windows overlooking the western garden. To the south there were informal gardens and an orchard. From the castle you can view the outlines of the former fishpond which was shaped in the letter “P” for the Preston name. Because of its rarity this earthwork is considered a nationally significant archaeological garden feature. In 1544, King Henry VIII of England wanted to impose a royal marriage between his son Edward, Prince of Wales and the young Mary Queen of Scots. Using military force, a period called the Rough Wooing resulted in much destruction of Scottish property and Craigmillar was burned by English troops under the Earl of Hertford. Sir Simon Preston (d. 1569) repaired the castle and remodeled the domestic ranges in the courtyard. Sir Simon served as Lord Provost of Edinburgh and a Privy Councilor to Mary and was very loyal to her. Queen Mary was known to have stayed at Craigmillar on two occasions: September 1563 and again from November 20 to December 7, 1566. It is said she enjoyed practicing her archery skills on the grounds. Tradition says she slept in a small room on the second story next to the Great Hall, known to this day as Queen Mary’s Room. It is more likely she slept in a larger accommodation in the east range of the castle. In March of 1566, Mary’s secretary David Rizzio had been murdered within earshot in her apartments at Holyroodhouse with the explicit consent of her husband Henry Stuart, Lord Darnley. Mary never forgave her husband for his treachery. 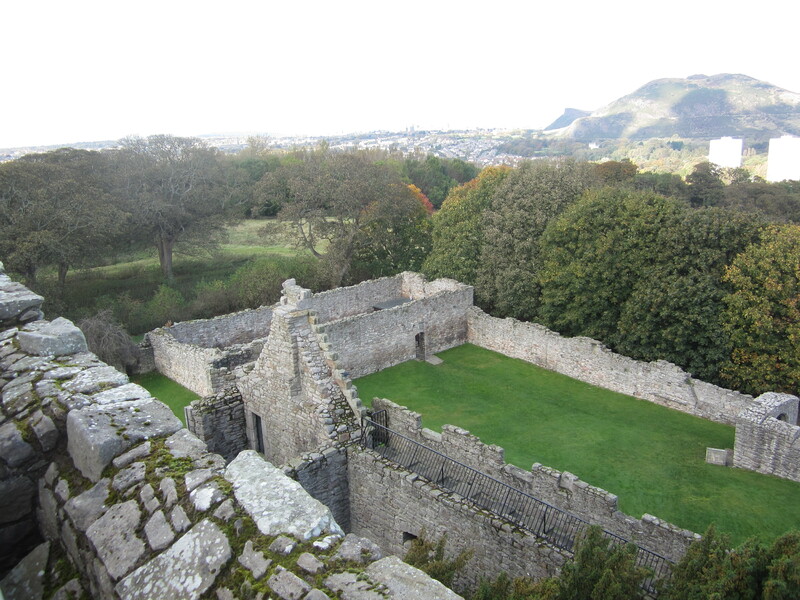 Her son James was born a few months later and in October, Mary was seriously ill. On November 20, she arrived at Craigmillar Castle with some of her lords to recuperate and make plans for her son’s christening. It was during this second stay that Mary’s unhappy marriage with Darnley was discussed. A plot began to take shape. The lords talked amongst themselves and with Mary on the fate of Darnley. Items discussed were annulment, divorce or maybe more. Mary didn’t want any plans that would bring into question the legitimacy of her son and certainly nothing that would ruin her reputation. The lords supposedly signed a pact called the “Craigmillar Bond” stating their intent to kill Darnley. There is in fact no copy of this bond and questions still remain to this day whether Mary knew of the pact and the plans or not. In February of 1567, Darnley was ill, most likely with syphilis. Mary agreed to nurse him and the plan was to bring him to Craigmillar. But Darnley refused to go and chose to convalesce in a moderate sized house in a quadrangle attached to the church called Kirk o’Field within the walls of Edinburgh but on the outskirts of town. On the morning of February 10, Darnley’s strangled body and that of his servant was discovered outside the house which had been blown to bits with gunpowder. This act ultimately led to the abdication of Mary’s Scottish throne and her imprisonment and execution in England nearly twenty years later. 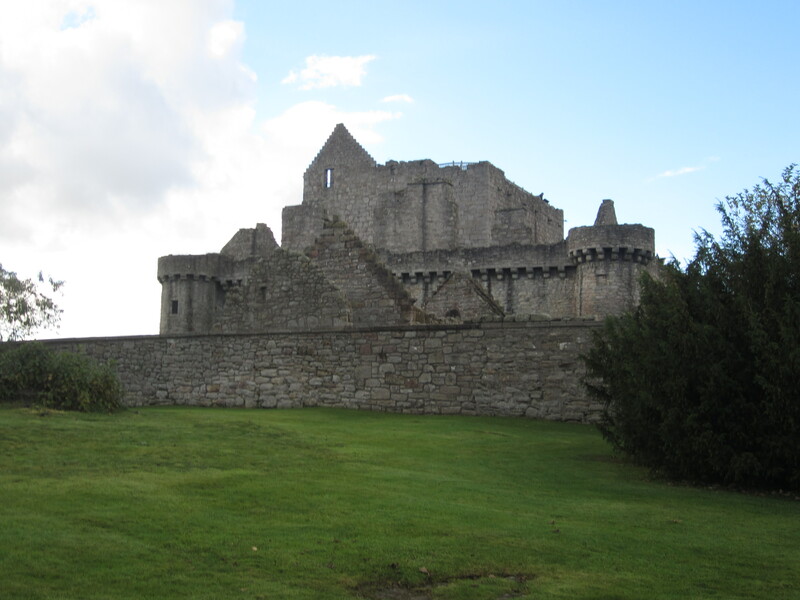 In 1572, during the regency of Mary’s son James, Craigmillar Castle was used as a base for the duration of the siege of Edinburgh Castle which was being held by supporters of the exiled Queen Mary. Her son King James VI visited Craigmillar in 1589 as the guest of Sir David Preston. The Preston family eventually sold the castle to Sir John Gilmour in 1660. Gilmour was a Royalist during the English Civil War and when King Charles II was restored to his throne, Gilmour was rewarded by being made Lord President of the Court of Session in 1661. During the 1660’s, the entire west range of Craigmillar was rebuilt with more modern accommodations to suit Gilmour’s new status as a judge. The ground floor consisted of a large central drawing room and dining room with large windows and a carved stone fireplace. This room would have had plaster ceilings and other decorative features. This was where the more spacious kitchen was built along with another chamber with a wine cellar below. The first floor had four bedrooms. This entire range is now roofless, the internal floor is gone and the windows have been blocked. In the eighteenth century, the Gilmours left Craigmillar to live elsewhere and the castle was never occupied again. In 1775 it was described as being in ruins and it became a popular tourist attraction by the end of the century. Walter James Little Gilmour, in the 1880’s, spent lavish sums of money on restoring the castle and Queen Victoria herself visited in 1886. The tradition of visiting the castle was customary by this time and open to the public every lawful day. Tea was served at the Dairy next to the castle well into the twentieth century. The castle has been in the care of the state since 1946 and is maintained by Historic Scotland. Thank you for a wonderful blog post, my mum was from Craigmillar so it was lovely to read about the castle she loved so much. Thank you for this very interesting and highly informative article. As Historic Scotland members, my wife and I intend to visit Craigmillar Castle in the next few months. I’m sure you will enjoy it David. It’s a wonderful castle. 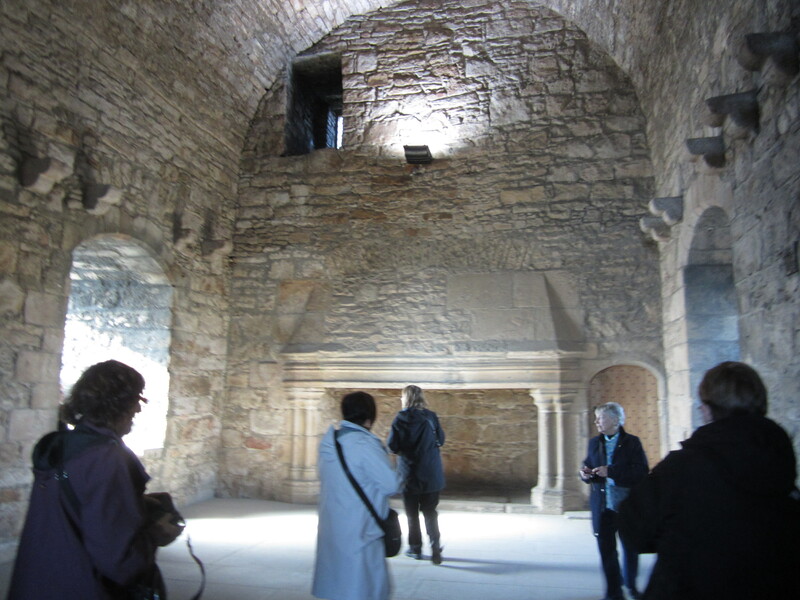 Informative post on the history of Craigmillar Castle by Susan Abernethy. Fantastic, Susan! Somewhere I haven’t been yet. What a great history, and amazing views from the top as well. You have to go Jo! It has a wonderful medieval feel to it and is really well preserved. And I know your pictures would be great. I loved the fish pond!